What are the Properties of Carbon? What is the definition of Carbon? It is a naturally abundant non-metallic element that occurs in many inorganic and in all organic compounds, exists freely as graphite and diamond. One of the hardest substances known to man (diamonds). The Physical and Chemical Properties are the characteristics of a substance, like Carbon, which distinguishes it from any other substance. 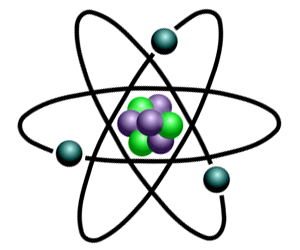 Most common substances, like Carbon, exist as States of Matter as solids, liquids, gases and plasma. Refer to the article on Carbon for additional information and facts about this substance. Carbon Properties - What are the Physical Properties of Carbon? *Allotropic: Two allotropes of carbon have different crystalline structures: diamond and graphite. The physical properties of carbon vary widely with the allotropic form. *Allotropic - Allotropes are forms of an element with different physical and chemical properties occurring in two or more crystalline forms in the same physical state. Carbon Properties - What are the Chemical Properties of Carbon?